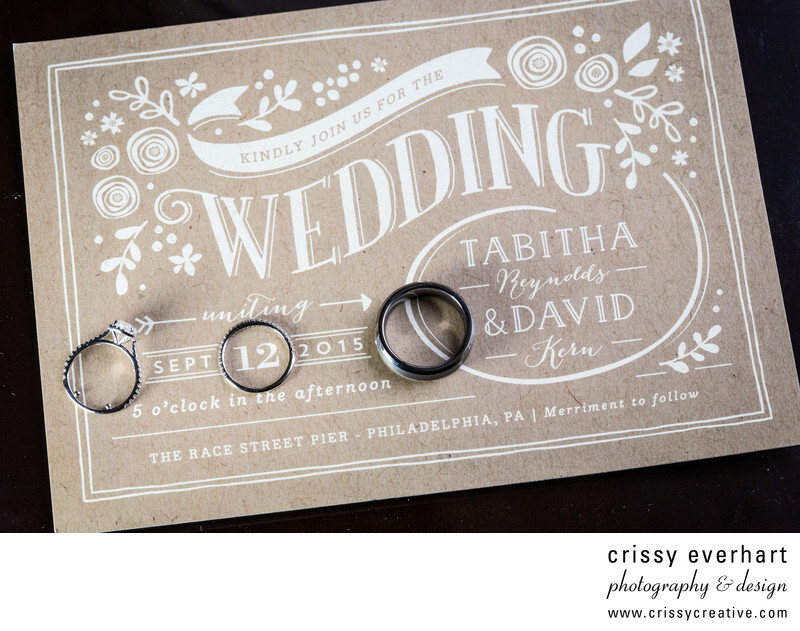 Wedding rings on brown paper invitation. The rings highlight the wedding date for this Philadelphia wedding at the Race Street Pier and Power Plant Productions. Location: 230 N 2nd St. Philadelphia, PA 19106.